Tirumala, 16 Apr. 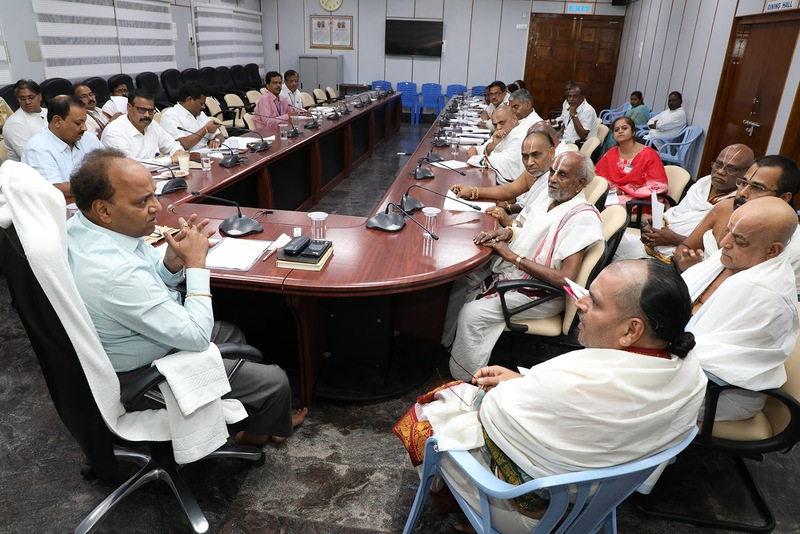 19: The most significant ritual, Astha Bandhana Balalaya Maha Samprokshanam will be performed in Sri Bhu Varaha Swamy temple, located adjacent to Srivari temple in Tirumala from April 23 to 27 with Ankurarpanam on April 22, said Tirumala JEO Sri KS Sreenivasa Raju. Speaking to media, the JEO said, in view of this ritual which is usually observed to enhance the longevity of the presiding deity, TTD is performing this ritual after 1982. There will not be any darshan of the Mulavirat in Varaha Swamy temple to pilgrims from 3pm of April 23 till 3pm of April 27 as per the advice of Agama Scholars. He said, as a part of this ritual, Kalakarshana will be performed on April 23, yagashala rituals from April 24 to 26 while Maha Samprokshanam will be performed on April 27 between 11.07am and 1.16pm. About 14 Homa Gundems will be constructed in the temple premises and 22 ritwiks will be taking part in this ritual, JEO added. In connection with Mahasamprokshanam in Sri Varahaswamy temple, TTD has cancelled arjitha sevas including kalyanotsavam, unjal seva, arjitha brahmotsavam and Vasanthotsavam on April 27 in Tirumala temple also. 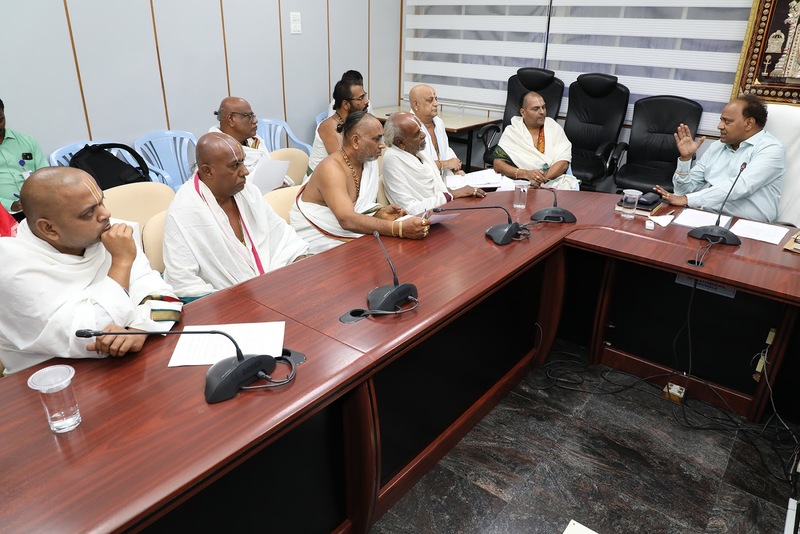 The pilgrims will not be allowed for darshan Lord Venkateswara in Tirumala temple on April 27 from 11am till 3.30pm, the JEO said. 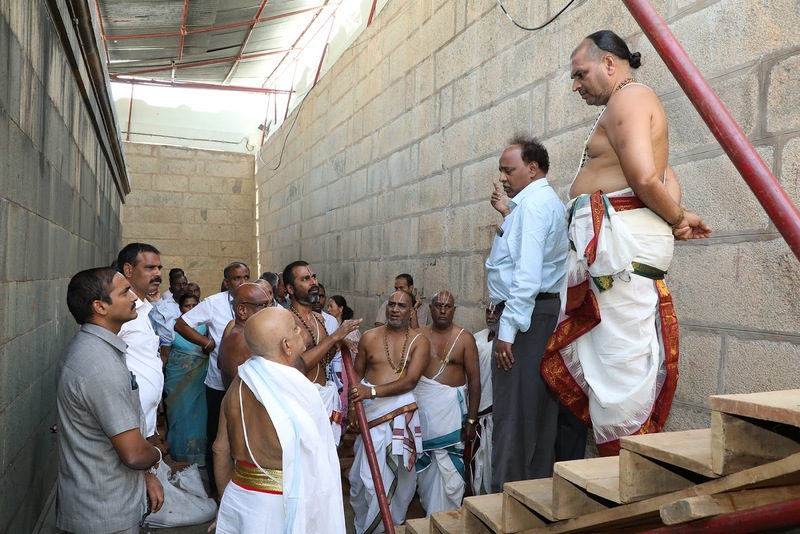 Later Tirumala JEO Sri KS Sreenivasa Raju along with Pradhana Archaka Sri Venugopala Dikshitulu, Agama Advisor Sri Sunderavadanacharyulu and other agama scholars inspected the Varaha Swamy temple where the constructions are going on as per the requirements of the vedic ritual. He directed the engineering officials to construct the homa gundems and vedikas consulting Agama scholars. 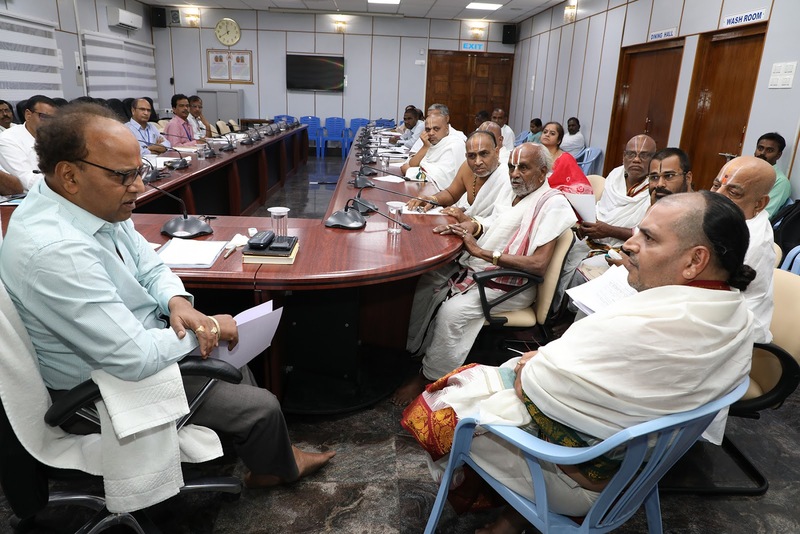 ACVSO Sri Shivakumar Reddy, VGO Sri Manohar, Temple DyEO Sri Harindranath, EE I Sri Subramanyam and other officers were also present.